All BAVARIAHOLDS WOOD VOLUMES meet the requirements of the DIN EN 12572 standard. In order for you to be able to use the wood volumes correctly and safely, we strongly recommend that you consider the following points. We will be happy to answer any questions you may have. The installation of the wood volumes may only be carried out by qualified personnel or specially trained personnel! Incorrect installation can result in serious injuries. The volumes should only be fixed on the intended surface (see assembly instructions). Nothing on the product may be changed subsequently by the user. The wood volume should only be mounted on a multiplex climbing wall (thickness >= 18mm). 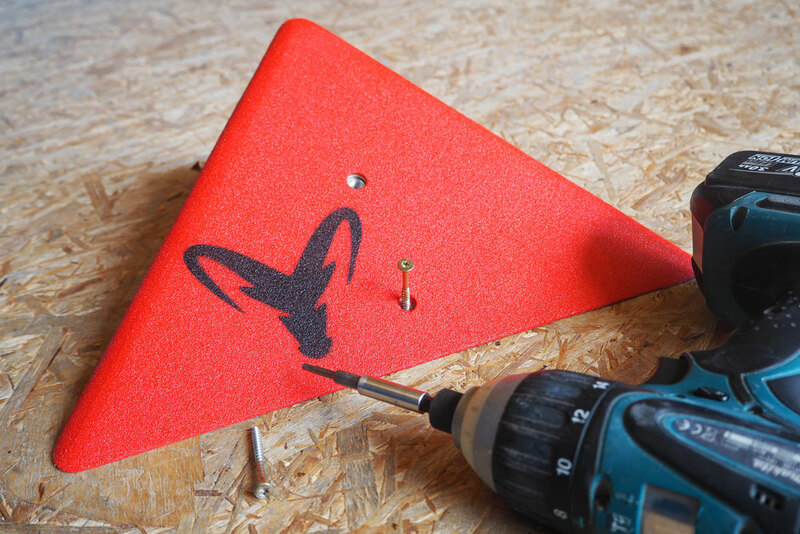 Make sure that the volume lies completely and flat on the climbing wall! Fix the wood volume with suitable countersunk screws (5 x 60), use all pre-milled holes for this purpose! Attention: Each fixing hole must be screwed! 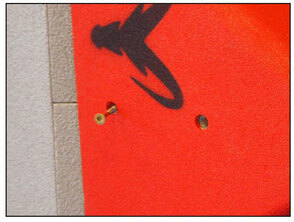 Check the screwed on wood volume for correct fastening! We recommend cleaning BAVARIAHOLDS wood volumes with a high pressure cleaner. This makes the volumes easy to clean. Chalk and rubber abrasion can also simply be brushed off during operation. Dirt, sweat and skin abrasion accumulate on the volume during prolonged use. Regular cleaning with a brush and water or vinegar is therefore recommended, without the use of chemical cleaning agents. BAVARIAHOLDS wood volumes are intended for climbing by a climber under normal conditions on suitable (see above) artificial climbing walls. Suitable equipment must be used for any type of use. Drill holes must not be used as holds under any circumstances. This involves a very high risk of injury. Wood volumes should only be fastened by competent and experienced personnel! The climbing walls to which the volumes are to be mounted must comply with DIN EN 12-572-1. BAVARIAHOLDS climbing volumes must be mounted and fastened with suitable countersunk wooden screws. For the correct choice of screw length, the wall thickness of the climbing wall on which the volumes are mounted must be taken into account. When using the fixing screws, care must be taken to ensure that they are not soiled, as this may impair the service life of the volume. A screwdriver should be used for installation. The surface of the climbing wall on which the volume is mounted must be flat. When using volumes on uneven surfaces, there can be stresses in the volume that can damage it. This makes the volume unusable. All Spax holes must be used during installation. Volumes may become loose as a result of use or temperature fluctuations. Therefore, the fastening of the mounted volumes must be checked at regular intervals and retightened if necessary. BAVARIHOLDS recommends that wood volumes carry out a visual inspection for damage at regular intervals. If the above mentioned fastening recommendations are not observed, the volumes may be damaged. These damages do not always have to be visible. At the first sign of damage (e.g. fine hairline cracks) BAVARIAHOLDS wood volumes must be replaced. If a volume has been mounted incorrectly (uneven ground) or is damaged for any other reason, it must be removed immediately. Damaged or broken VOLUMES must not be used under any circumstances and must not be repaired. They must be replaced.